Charlotte oncologist Dr. Justin Favaro notes that advances in immunotherapy are providing hope for patients, including former President Jimmy Carter, who recently announced that he is making very positive inroads in his fight with melanoma, following surgery, radiation and use of an innovative new immunotherapy drug. While it’s hard to say with certainty which of his three treatment interventions are most responsible for his current state, there is increasing evidence that immunotherapy is helping patients fight cancer. 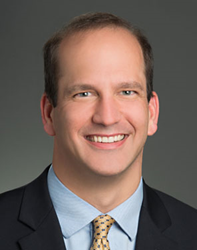 Charlotte oncologist Dr. Justin Favaro cites former President Jimmy Carter's positive inroads in his fight with melanoma as an example of innovative immunotherapy drugs offering increasing hope for cancer patients. According to Associated Press The Big Story on November 10, 2015, President Carter's improvement follows surgery, radiation and use of an innovative new immunotherapy drug. President Carter was diagnosed with metastatic melanoma in 2015, which had spread quickly to his liver and brain. In addition to radiation and surgery, President Carter received a new immunotherapy drug called pembrolizumab (Keytruda®), which helps the body’s immune system mount a stronger attack against cancer. According to the American Cancer Society, immunotherapy stimulates the immune system to work harder in attacking cancer cells. Newer types of immune treatments currently being studied will impact how we treat cancer in the future.